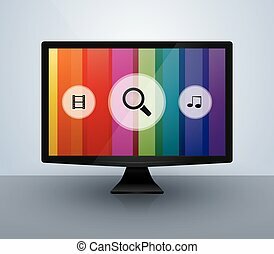 Smart tv flat icon. Smart tv icon with long shadow. flat design vector. Smart TV icon with long shadow. Flat design vector. 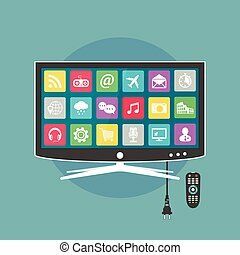 Smart TV flat icon, household and appliance, vector graphics, a colorful solid pattern on a white background, eps 10. 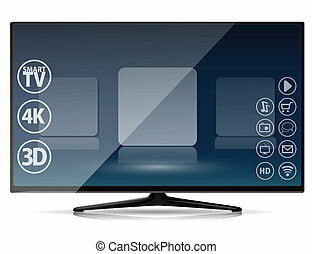 Black flat LCD TV vector icon with 4K symbol and shadow. 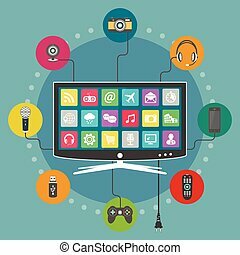 LED smart TV icon in flat style. TV symbol isolated on orange background. Vector eps8 illustration. 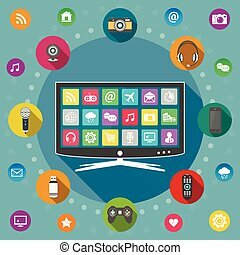 LED smart TV icon in flat style. TV symbol in an orange circle. Vector eps8 illustration. 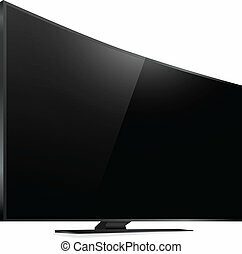 Modern curved TV icon in flat style. LED smart TV symbol in an yellow circle. Vector eps8 illustration. Smart TV icon. Vector illustration. Smart TV Icon. Linear Vector Illustration. Smart TV icon, long shadow design. Vector illustration. Smart tv line icon. Linear vector illustration.